This is my go-to meal. I’ve been making it since my junior year of college. It’s the meal I make when I really want to make something for myself that I can believe is somewhat healthy and home-cooked. It’s super easy. 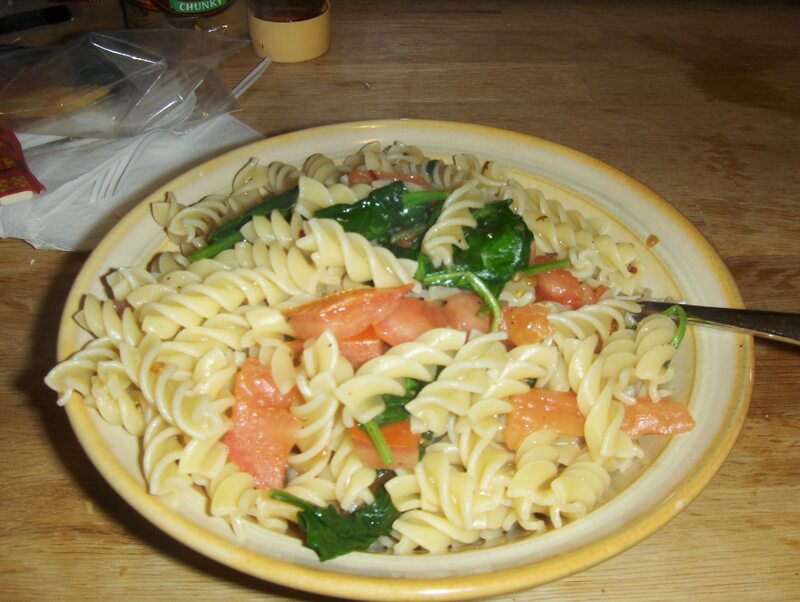 I saute garlic, add some spinach, salt and pepper and throw it all over some pasta. Voila! I play around with it and throw whatever else is available in. This night, I added a chopped tomato, oregano, and red pepper flakes. It certainly hit the spot.